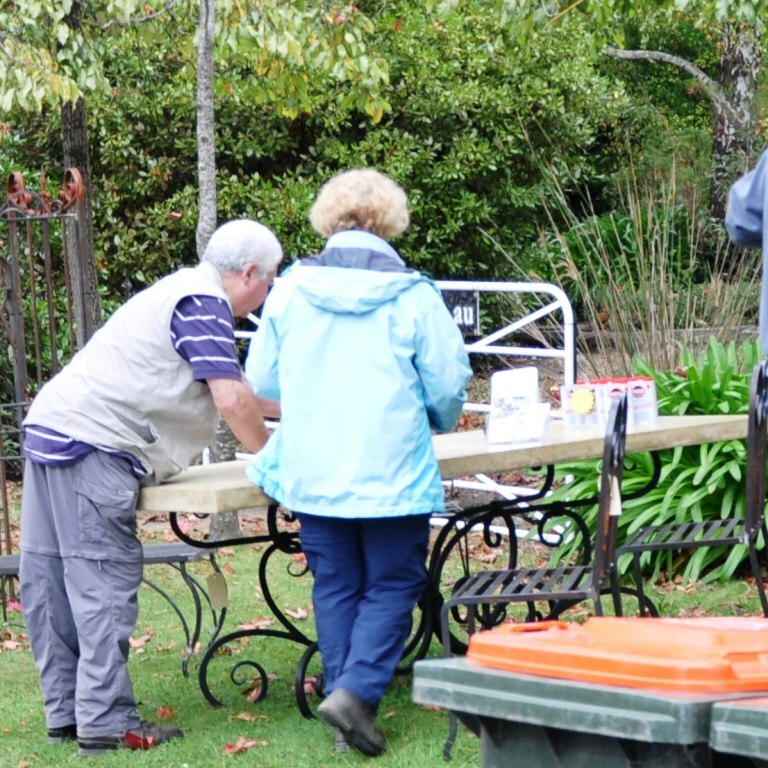 Amongst the new products released at the Stirling Autumn Garden Festival was a beautiful French Provincial inspired wrought iron outdoor dining setting. When creating new pieces the brief is that not only should the item stand the test of time – as everything we make must, but also look fantastic. A lovely GRC table top with a rustic stone look was sourced and teamed with a beautiful, strong, hand-forged wrought iron table base. The wrought iron base would add a glamorous touch to any indoor dining room especially if teamed with a highly polished timber top, but for now it’s gracing my back verandah along with a wrought iron candle chandelier and lovely heavy wrought iron chairs. There are many cheap garden settings available these days. China pumps them out by the millions. Give them six months though and they start to look tired, and by the time summer comes around again, the dining setting will not only look somewhat worn but be rickety as well. No sooner do you grow an attachment to your new garden setting than it’s ready for retirement. The nicer wrought iron pieces from Bunnings look pretty but lets face it, longevity is not their aim. They want you to come back and buy another one next season so they’re most certainly made to a price – CHEAP! it’s the details that make it special. The brief I had in mind for the table setting was that it should be a feature in itself and like all our products it had to be made to a high standard. With gardens getting smaller, an item as big as a garden setting should look good, really good and have that ‘wow’ factor. I’m probably a bit of a miser as I hate spending money and then having to replace items because they’ve broken or worn out sooner than they should have. But that’s me. I also tend to grow emotional attachments to items. Silly, but I know from our customer’s feedback that I’m not alone. Most items are connected to memories and a table setting will collect many of those with gatherings of family & friends. 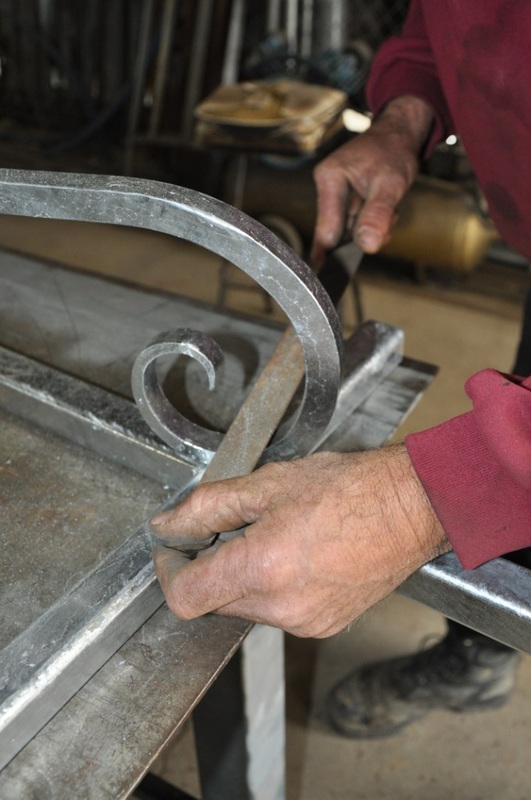 Being hand forged makes it even more special – especially with the care Andrew takes to make sure you get a quality piece of wrought iron. Filing off runs and dags following the galvanising process. 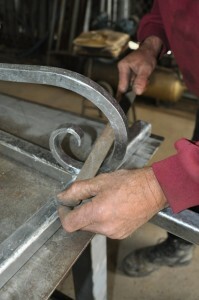 Posted in: News, Wrought Iron. 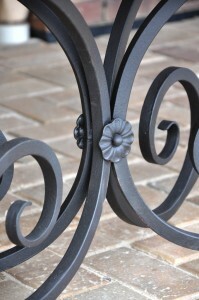 Tagged: blacksmithed, french provincial, furniture, new products, wrought iron. Hello, you left a comment on my Pinterest page. Do you ship to Sydney? Thanks. 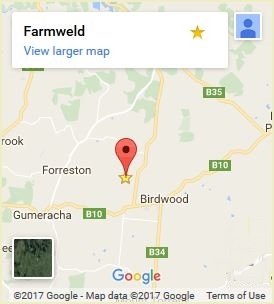 Hi Penny, Yes we ship all around Australia. Note that the price is as at 4/2012 for the wrought iron table base, could you please let me know if this is still the cost along with courier to Queensland. Hi Janelle, the price of the base is still the same. Not sure about the table top, I’ll have to check with our supplier and get back to you. If you email me your ‘exact’ location I’ll be able to provide you with delivery cost, Qld is pretty big and freight will vary greatly, e.g. to Brisbane vs McKay. I’ll also need to know if you just want the base or the top as well. I’ve sent you an email so just let me know the details. Hi – do you make floorstanding multistem candle holders? Looking for something about 1.5 m high with three candle holders at different heights. Or if not where I could look in Sydney? Hi Andre, I’ve sent you an email. To answer your question, yes we can make you whatever you want. Please give us an idea with some drawings or photos of the kind of thing you like so that we have something to work with. There are so many options, e.g. contemporary vs traditional designs. An idea of budget is helpful so we don’t over or under design. I look forward to hearing back from you. Hi Michelle, I’ve sent you an email with the current price. All items are ‘available’ in that they are made to order so we can tailor it to suit the size you require.